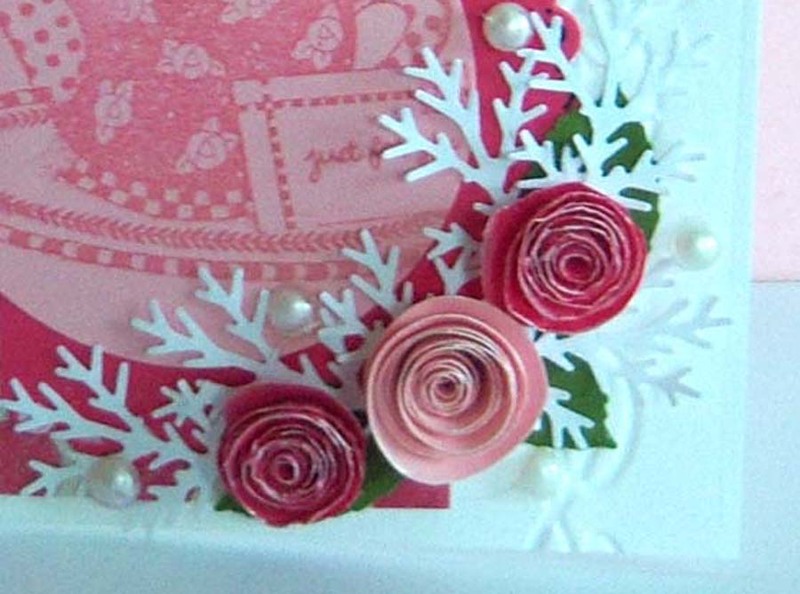 I put a new tutorial on the side links called "Mini Rolled Roses." 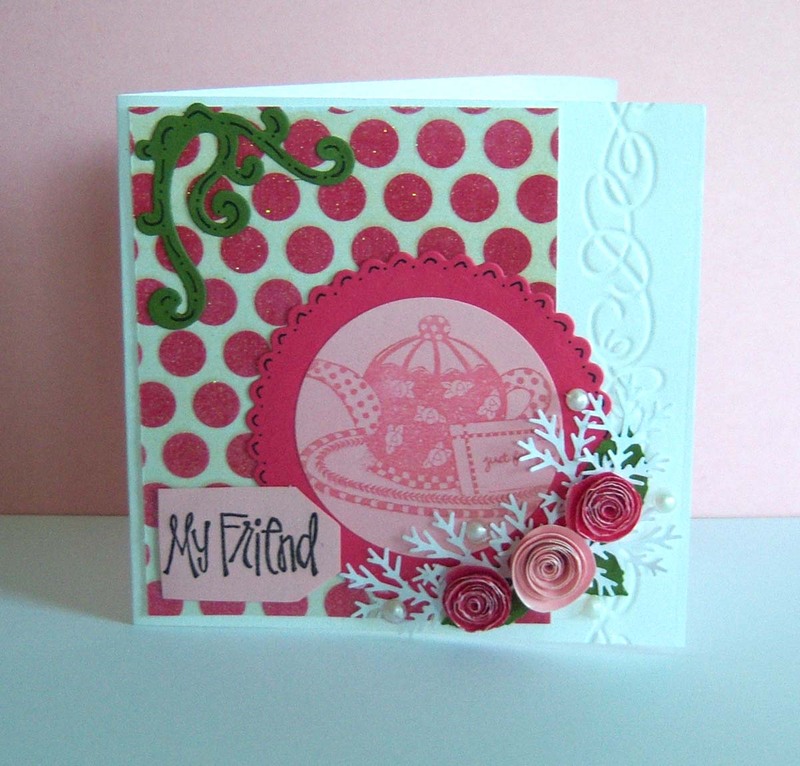 I used that tutorial as a basis for making the roses on this card. I did change a few things: 1. I cut 2 in circles with a circle punch instead of the square 2. I didn't draw the lines - just eyeballed it and cut my circle into spirals 3.I crumpled my regular cardstock up and rolled it between my fingers till I broke the fibers --then separated it into two pieces (instead of using mulberry paper) 4. I used my quilling tool to hold my rose as it was a bit easier than doing it "by hand." Once you make one and get the hang of it, these whip up pretty fast! I dabbed a little bit of my pearl paint on the top of the roses just for added dimension.